Drinking and driving can lead to charges that are a lot more serious than DUI. If you kill someone while driving drunk, you can be charged with reckless homicide. The stakes are high in these challenging cases.At the law offices of John W. Callahan, Ltd., we are ready to take on these challenges. We are a team of attorneys with different, but complementary, techniques. Our creative and aggressive representation can help you. We take every case with one goal in mind: to beat it. To speak within minutes with a lawyer about reckless homicide or manslaughter charges, call us at 1-877-335-6697 today. You can also e-mail us. We know that some law firms start out with a worst-case scenario mindset and try to work up from that. We believe that this is a setup for failure. Instead, we start out your case with every intention to keep you out of jail and keep your record clean, regardless of how challenging the charges you are faced with may be. This mindset has allowed us to build a strong record of success in reckless homicide and related cases. In our decades of time spent standing up for the rights of people in Chicago, Schaumburg and the surrounding parts of Illinois, we have demonstrated to the prosecution how far we are willing to go to get results. This does not mean that we play games or pull moves that are meaningless. It means that we are careful, thorough and precise. It means we are dedicated to winning. In addition to handling reckless homicide cases that are related to drunk driving, John W. Callahan, Ltd., can handle other related matters. 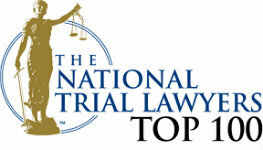 No matter what has caused you to be charged, our lawyers can help. Reckless Homicide or Attempted Suicide? 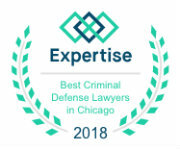 Our team is available to defend against charges of reckless homicide, including those that involve vehicular manslaughter while driving drunk. We know the stakes are high. That is why we are ready to put our aggressive defense to work for you. We have demonstrated to the opposition how serious we are about winning. We have earned the respect of the prosecution. They know that every move we make is carefully planned and intended to make a difference. They know that if they are not willing to negotiate with us and provide the result that we think is right, we are ready to take the matter to trial. Our team can handle all reckless homicide cases, whether they involve DUI or any other act of negligence, inside or outside of a vehicle. Call us at 1-877-335-6697 to speak within minutes with a lawyer about charges of reckless homicide, whether related to DUI or otherwise. You can also e-mail us. *These are past results and do not constitute a guarantee of future results.